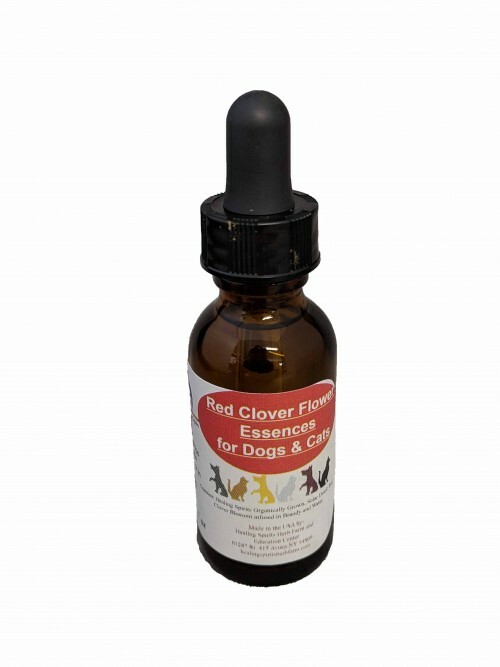 This is a remedy for panic - calm your cat or dog for trips to the vet, loud thunder or fireworks, traveling, etc. Put two drops under the tongue or into drinking water. Made with Healing Spirits Organically Grown, Hand Picked Red Clover Herb, Water, Brandy and Apricot Brandy.